Donald Trump is more popular than Hillary Clinton on Twitter -- with both humans and machines. 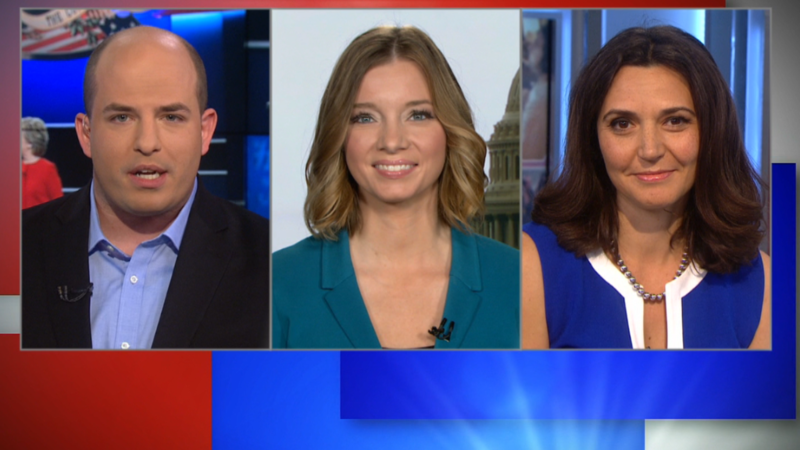 "We don't know who generates the bots -- if it's the campaigns, supporters, the candidates," Howard told CNNMoney. The research showed that Trump would be "winning" on Twitter (TWTR) even without the automated messages. "If you removed all the bots, it would seem that Trump is still more popular and has more traffic," Howard said. "The takeaway is that we should be skeptical about social media," he said. 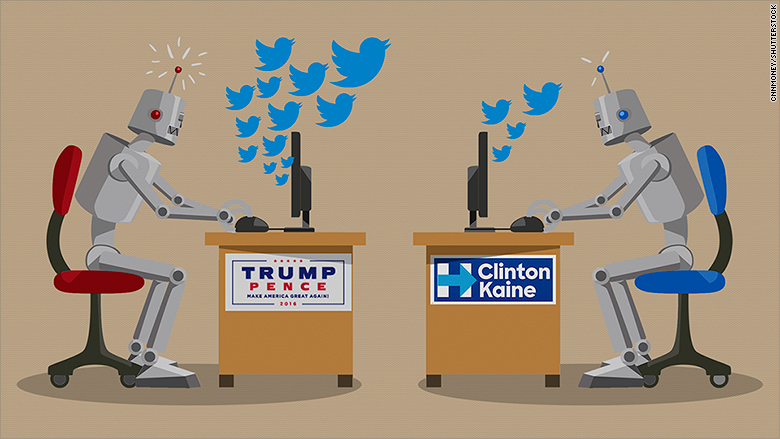 "Politicians use bots to influence debate, it's often a form of negative campaign, because in many cases these bots can be very vicious." In April, Facebook (FB) launched Bots for Messenger, a service that allows users to access everything from weather updates to shopping notifications through its messaging app.